Spring time is here, which means rain, flowers, and of course walks in the park. Our April scrapbooking kit captures the essence of nature by using elements from nature such as butterflies, sunshine, flowers, trees, and more. We found some inspirational pictures via Pinterest and wanted to share what people have been able to create using this month’s kit. The clouds on this page are raised to add depth and create the illusion of a cloudy, shadowy day. It’s easy to draw a cloud on the patterned blue paper to create this simple effect.We love the simplicity and playfulness of this page. The kit includes several optimal elements for creating a Spring themed layout including banners, flower stickers, and tag cut outs that can be used to commemorate a memory or quote. Another inspirational scrapbook layout we found is also creative and stunning that features a simple, yet beautiful butterfly and heart effect stemming from the main picture. This scrapbooker took advantage of the bright colors and patterned shapes it offers. Use the photo corner stickers to create a beautiful touch to your most prominent photo. Create butterflies by cutting them from the handmade paper using the butterfly paper or sticker as a stencil. Draw multiple sizes of hearts on the patterned paper. Use the included borders to add an edge on the side of the paper to the page a pop of color. The possibilities are endless. If you’d like to receive one of our April kits, subscribe to one of our plan options. Of course, if you’re already a member and would like to upgrade, shoot us an email on our contact page. Follow us on Facebook, and show us some love on our new Instagram account! These look springy and beautiful! Love it! I want those upgrades too so will be emailing and ordering soon!! Hi Julie, I’m so glad you love these, we can’t wait for you to join the club! Just click on the “Order Now” link at the top of the page, or click here to place your order. You’ll be able to select the upgrade option during the checkout process. cant wait to get started on it. a lot of nice paper and emblishments. I wanted to email you buy didn’t see a email to send it. 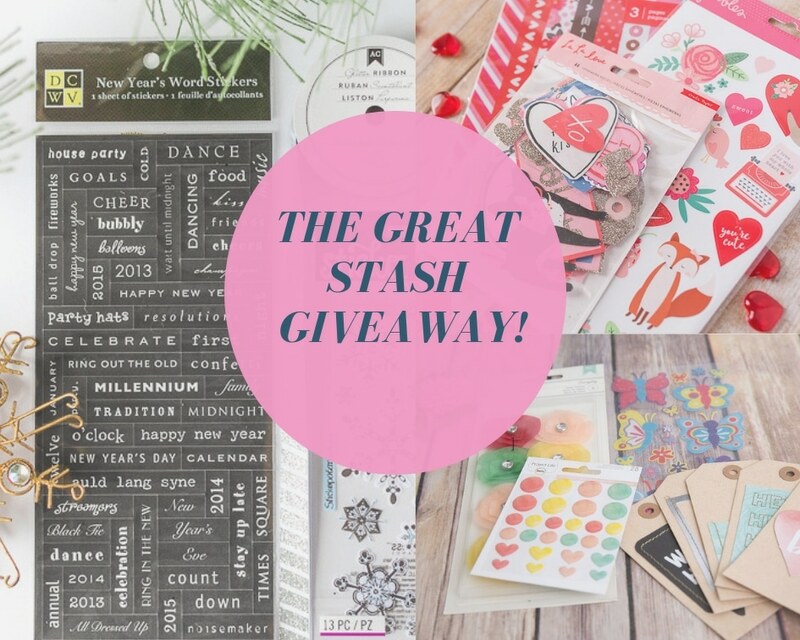 E​nter our monthly giveaway for a chance to win a bunch of goodies- ephemera, stickers, washi tape and more! *Don't worry we never spam!